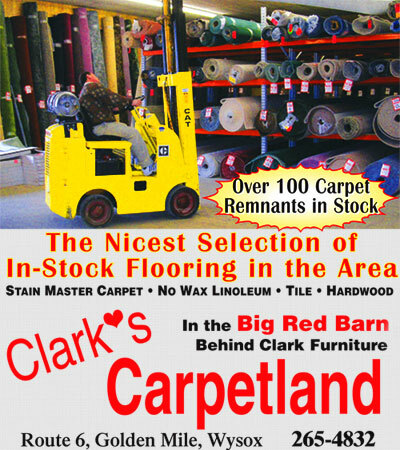 Clark's Carpetland, located behind Clark Furniture is your number one source for all your carpet and flooring needs. Clark's specializes in having a large in stock selection of Carpet, Orientals, linoleum rolls and remnants. Because Clark's buys in mass volumes for large quantity discounts, the savings are passed onto you! Clark's also has expert installation and gives FREE ESTIMATES. We've worked hard over the years to provide the community with a carpet and flooring store that offers the best pricing, selection and service.